For the record we think being a hack chef is a good thing! My kids are delightful little creatures: they like to eat things that are cute and fit in your hand. They like chocolate chips. They like to snack, they are a bit choosy with their protein sources, they want to be in the kitchen WITH me, doing the work. They are *always* hungry. 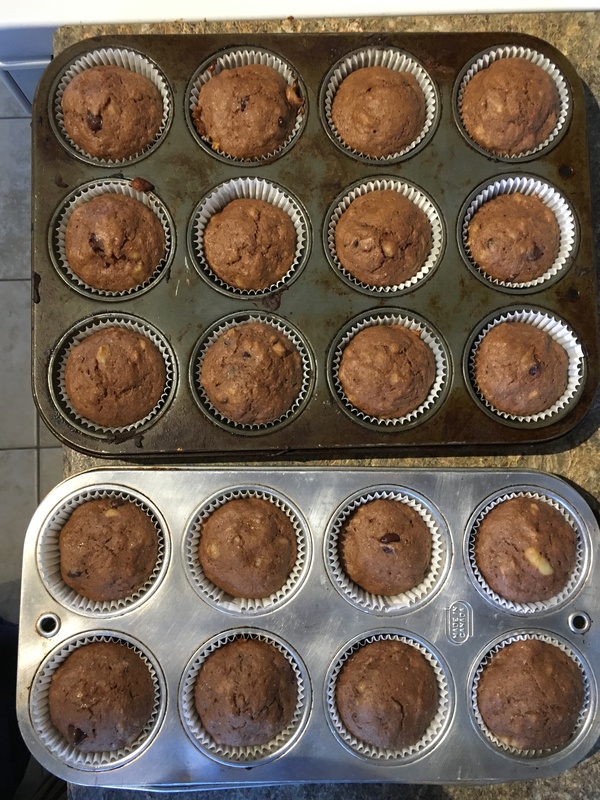 We make a lot of muffins since they satisfy all the above mentioned ‘likes’ and I can get a dozen or two whipped up in 30mins or less, even with their help. ???? Muffins are also very forgiving with measurements of ingredients, which is handy for tiny bakers and hack chefs. These chocolate banana muffins are one of our lunchbox staples and can be modified heaps of ways. Our school is nut free, so I make these safe to send for lunch, but as an after-school snack I might mix in almond flour, or a handful of walnuts… I play around a lot with ingredients and additions so they’re rarely the same twice. I also don’t add any additional sweeteners beyond what’s in the protein powders and chocolate chips, so I feel pretty good about these as a snack, and the carbs, fat and protein in them helps keep their little bodies energized throughout the afternoon at school! dash each of salt and cinnamon – we love generous dashes of cinnamon! hemp or chia seeds, ground flax seeds…great to add if you need more dry stuff or like more crunch in your muffins! ¼ cup applesauce if you need a bit more wet. Optional if you don’t. 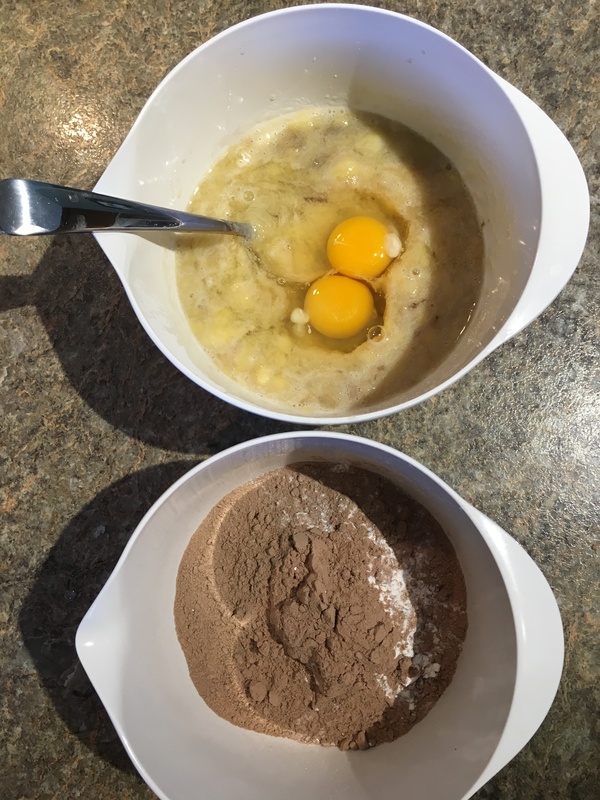 In separate bowls, mix the wet and the dry ingredients, then add together in one big bowl (I’m sure actual bakers have a much more refined process… but this works for the kids!). Once mixed, toss in a few handfuls of chocolate chips and stir a little. Don’t mix too much! Scoop into cupped or greased muffin tins to about 2/3 full. Bake at 350 degrees for 20-25 mins – they should feel springy still: I’ve found that overcooking is not a win for texture. Let cool and enjoy! Paper wrappers will stick to the muffins for the few hours but once they are properly cool, it’s an easier process. I often go paperless for that reason, as the kids want to eat them asap! 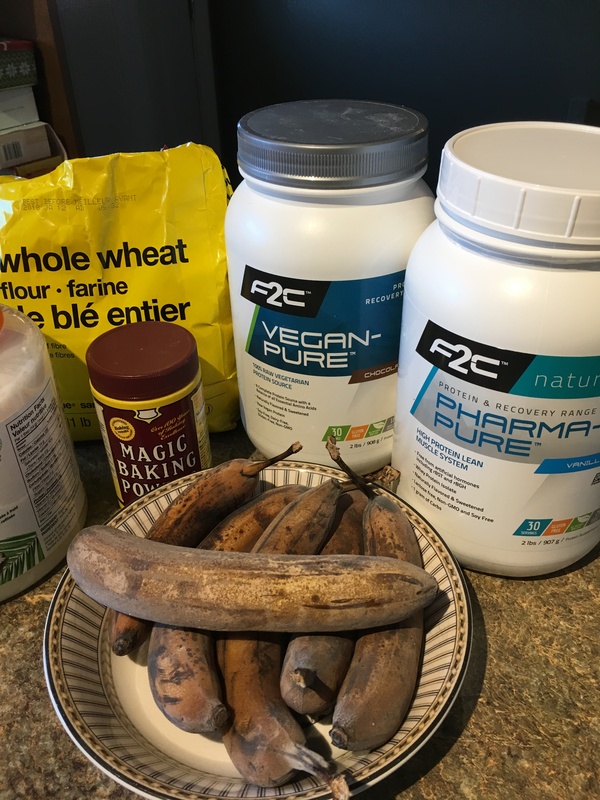 « Jules Gorham – On cannonballing, nutrition in the dead of winter and a GOLD medal win!